Models and simulations of all kinds are tools for dealing with reality. Humans have always used mental models to better understand the world around them: to make plans, to consider different possibilities, to share ideas with others, to test changes, and to determine whether or not the development of an idea is feasible. The book Modeling and Simulation uses exactly the same approach except that the traditional mental model is translated into a computer model, and the simulations of alternative outcomes under varying conditions are programmed on the computer. The advantage of this method is that the computer can track the multitude of implications and consequences in complex relationships much more quickly and reliably than the human mind. 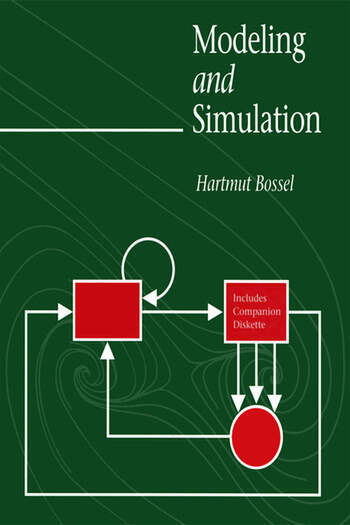 This unique interdisciplinary text not only provides a self contained and complete guide to the methods and mathematical background of modeling and simulation software (SIMPAS) and a collection of 50 systems models on an accompanying diskette. Students from fields as diverse as ecology and economics will find this clear interactive package an instructive and engaging guide.